Bangkok, 1 August 2013: The Thailand Ladies Open will burst into life in 2013 as it will be played at an exciting new venue with increased prize money. The 26th staging of the prestigious championship will take place on the Plantation Course at Siam Country Club for the first time and will be played from November 7 to 9. It will boast prize money of US$200,000 – an increment of US$50,000 – and it will once again form an integral part of the Ladies Asian Golf Tour (LAGT). In another first a three-hour highlights show of the event will be broadcast on FOX Sports. 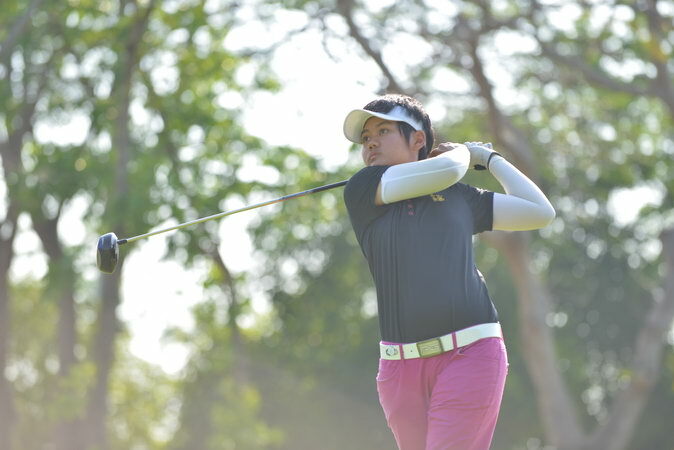 “The Thailand Amateur Ladies Golf Association is delighted with the progress being made for this year’s Thailand Ladies Open,” said Khun Jittakarn Chandraviroj, President, Thailand Amateur Ladies Golf Association. Siam Country Club is one of the finest golf facilities in The Kingdom, boasting two world class layouts, the Plantation and Old Courses. The Plantation Course staged the Honda LPGA Thailand Championship in 2009, where victory went to Lorena Ochoa from Mexico. The Old Course staged the event in 2007, and from 2010 to 2013. The Thailand Open men’s championship has also been held on the Old Course on four occasions. “It is a great honour for Siam Country Club to host the Ladies Thailand Open and we look forward to welcoming the best players from the Ladies Asian Golf Tour,” said Dr. Phornthep Phornprapha, Chairman, Siam Country Club. Siam Country Club, a 15-minute drive from Pattaya, was founded by Dr. Thaworn Phornprapha, and opened on March 1, 1971. The Plantation Course was simultaneously built at the same time during the renovation of the Old Course, and opened in April 2008. It was designed by Lee Schmidt of Schmidt & Curley. “The Thailand Ladies Open has always been one of the main attractions on the Ladies Asian Golf Tour. The tournament is highly competitive as it always boasts a very strong field from overseas. This is because Thailand is such a popular venue with fine golf courses and top-class facilities,” said Khun Rae-Vadee T. Suwan, Chairman, LAGT. Last year, cheered on by huge and enthusiastic local support, Thailand’s Nontaya Srisawang recorded a memorable victory to become the fifth local winner of the event. Her compatriot Tanaporn Kongkiatkrai had lifted the trophy the year before while Moo Sattayabanphot won in 2009 and Pornanong Phatlum in 2008. Amateur Naree Wongluekiet was the first Thai winner in 2001. Their names are inscribed on the trophy along with many famous winners including Shin Jiyai (2007), Sophie Gustafson (1997) and Laura Davies (1993 and 1994). Adding to the exciting build up for this year’s Thailand Ladies Open is the fact that Thailand’s golfers are enjoying a fine season on the LAGT. Titiya Plucksataporn claimed the season-opening Royal Open in Taiwan while Pornanong triumphed in the following event, the Hitachi Open, also in Taiwan. Pornanong currently leads the Order of Merit with winnings of US$90,045 after seven events this year. This entry was posted in NEWS & ARTICLES and tagged GOLF NEWS, SPORTS NEWS. Bookmark the permalink.